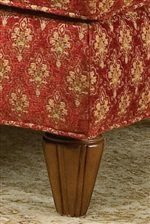 Add a touch of extra comfort and style to your living room with this traditional upholstered ottoman. A plump, semi-attached seat cushion offers cozy support for your legs after a long day's work. This ottoman doubles as an extra seat for guests when you have company. Pair with the matching chair for a complete set. 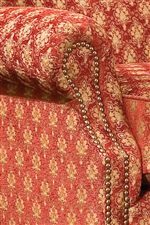 The 1403 Traditional UpholsteredOttoman by Fairfield at Olinde's Furniture in the Baton Rouge and Lafayette, Louisiana area. Product availability may vary. Contact us for the most current availability on this product. The 1403 collection is a great option if you are looking for furniture in the Baton Rouge and Lafayette, Louisiana area.